. Published on 31/08/2017 . 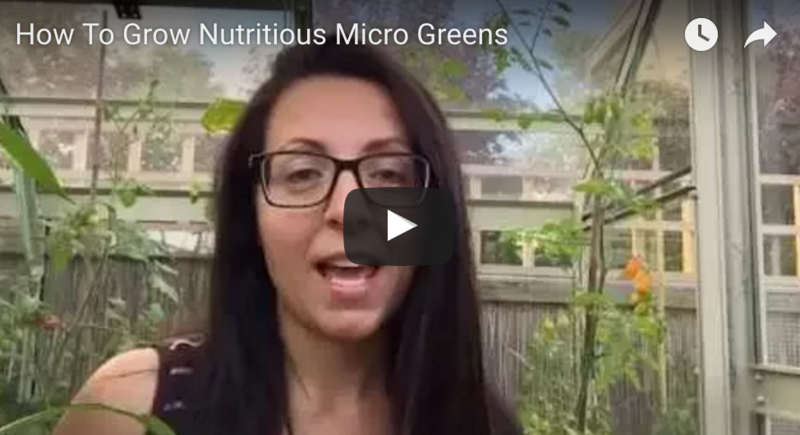 You may ask ‘What are micro greens?’ Well, they are the young greens of vegetables (Ellen does a much better job of explaining in the video ;). The best bits about micro greens is that you don’t need an allotment to grow them, they shoot-up fast, are full of flavour and are nutritious too. What’s not to love about them? In this edition of “GardenTags How To” series Ellen of Ellen Mary Gardening shows us how to sow delicious and nutritious Micro Greens. Follow @EllenMaryGardening on the GardenTags app to see more of her ‘How to’ videos and her beautiful garden and allotment. Thanks Ellen for another very useful video tutorial on how to grow micro greens. We’ve purchased our tray and our pack of seeds and are ready to sow. Please make sure you check in regularly to see what ‘how to garden’ videos are ready for you to view. And make sure you download the app as we feature new videos weekly in the free app for gardeners which you can download here.